Guests will enjoy a delicious 3 course Table D’Hote dinner in our award-winning Restaurant Sirocco and a full buffet breakfast. Included in this package is full use of the spa facilities. Space is limited so book early to avoid disappointment. Available for stays on Sunday 21st April, Sunday 28th April, Sunday 12th May 2019 & Sunday 19th May 2019. 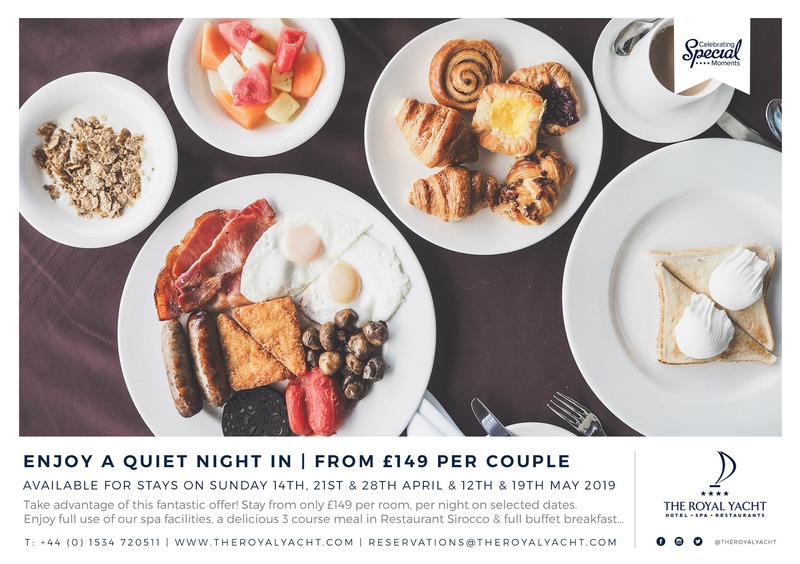 Rates are per room; non-refundable and non-transferable Rate based on two people sharing Beverages not included The Royal Yacht reserves the right to vary these terms and conditions.